Well, I got a little idea to solve it new-school by letting the do computer the work. Three possible answers! That is TWO more than the “puzzle master” Will Shorts found! PaChow! I’ll be swimming in NPR lapel pins come this Sunday. 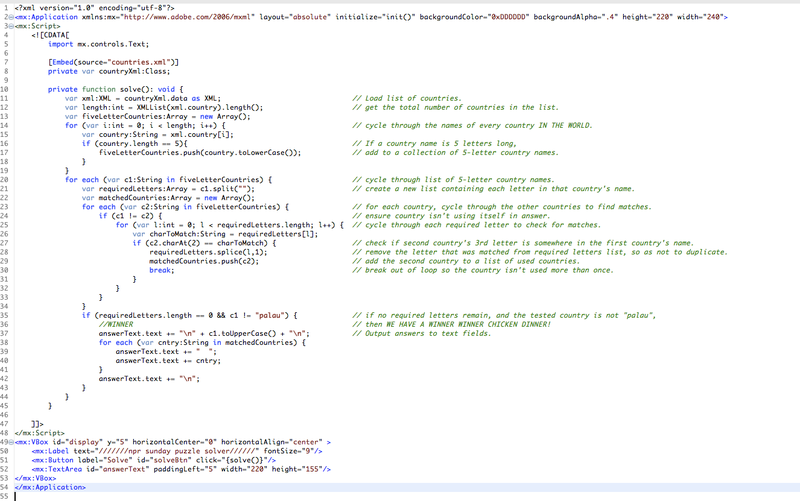 English comments along with puzzle-solver code here. There is another universe in which me and this guy are best friends. This is an amazing video. I suggest HD and fullscreen because there’s so much detail, but it’s good either way.